Cellist Qizhen Liu currently serves as section cellist in the San Antonio Symphony. Recently she was the principal cellist of Topeka Symphony Orchestra. She has performed throughout North America, Europe, and Asia as a solo, chamber, and orchestral musician. 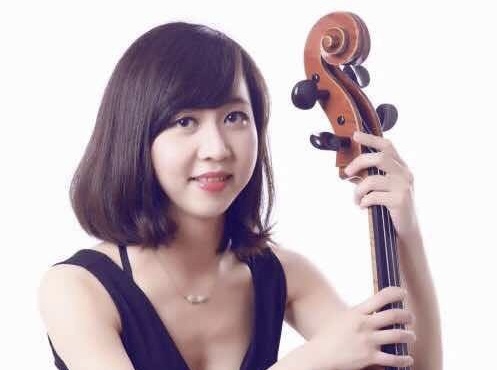 Qizhen is a prizewinner in the 2015 Kansas City Music Club Competition, 2014 MTNA Young Artist String Solo Competition, 2014 Sigma Alpha Lota Competition, 2012 Sorantin International String Competition, and Internationaler Jugendmusikwettbewerb in Ehigen, Germany. She has appeared in Fontainebleau Music Festival (France), Zephyr Chamber Music Festival (Italy), Schleswig Holstein Music Festival (Germany), Morningside Bridge Music Festival (Canada), Aspen Music Festival, Music Academy of the West, Kneisel Hall Chamber Music Festival, and Sarasota Music Festival in USA. In 2016 summer, she worked with David Finckle and Wu Han in the Aspen Music Festival’s Chamber Workshop. She was also a member of the Graduate Fellowship String Quartet at University of Missouri, Kansas City. Qizhen’s interest in contemporary music has led her to collaborate with George Crumb, Joan Tower, Chen Yi, Zhong Long, and Thomas Ades, performing at New Music New Haven Series at Yale, the contemporary workshop at Fontainebleau Music Festival in France, and Bard Music Festivals. In addition to her performing, Qizhen has taught as adjunct instructor of cello at Ottawa University, as faculty member at Morse Music Academy at Yale School of Music, as teaching assistant at Casalsmaggorie Music Festival in Italy, as teaching artist at Music Bridge Program at University of Missouri, Kansas City Conservatory of Music, and Aspen Music Festival P.A.L.S. Summer Education Department. Qizhen Liu holds a BM in Cello Performance and BA in German Studies at Bard College. She earned a graduate degree of music from Yale School of Music and a Doctorate of Music Arts from University of Missouri, Kansas City.